Homemade Onion Rings are one of my favorite foods. 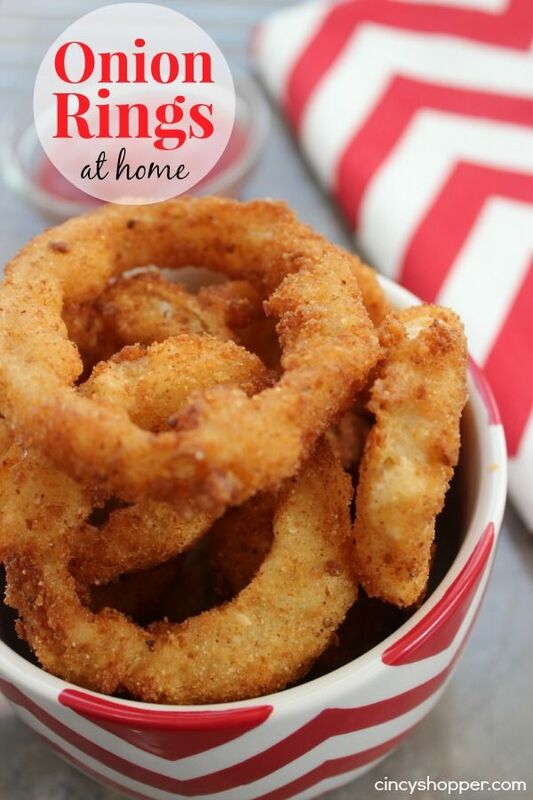 I felt the need to share our homemade Onion Rings Recipe with all of you. If you follow my recipes you know by now that I put onions in everything! My kiddos are not fans of onions (like most kids) but I still make everything with them. Sometimes I have to puree them in order to get them to eat a dish. Usually we just make them “pick em out” ha ha! I am not sure I could cook without onions. When eating out I always order onion rings for my side. In fact sometimes I will just order a salad and an order of onion rings. I like french fries but there is something about getting onion rings from the restaurants. The onions are always so sweet and full of flavor.